In an indication of continuing momentum behind Teams, Microsoft Chief Marketing Officer (CMO) Chris Capossela said that usage within Accenture, the largest customer for Teams, had grown to 170,000 people. The statement was made on the December 19 episode of the Windows Weekly podcast, featuring the redoubtable Mary-Jo Foley and Paul Thurrott. The last public number for Accenture was 108,000, reported by CIO Jason Warnke in an October 2 LinkedIn post. Growing by 62,000 in ten weeks is impressive, but probably reflects the pace that you might expect in a 459,000-person organization once a technology reaches full deployment. Large deployments get the headlines, but the major contributor to the growth in Teams is the number of organizations that use it. In October, I figured that the 329,000 organizations Microsoft said use Teams meant that the total number might be around 33 million. If the growth continues at this pace, Teams will soon rival the likes of Exchange and SharePoint as the major workloads inside Office 365. 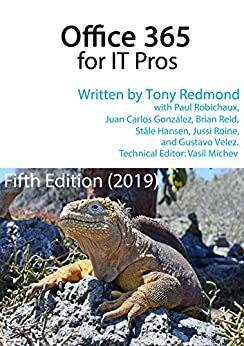 With over 130 pages of coverage of Teams from deployment to management to meetings and PowerShell in the Office 365 for IT Pros eBook, it’s a huge asset to anyone wanting to make the most of Office 365’s fastest growing application! I am not that sold on MS Teams. But yes, Teams is the future. I hope that partners will catch up eventually. I am convinced, looking at the current market landscape and MS’s progress over the last 2 years that Teams will pick up all the key features it needs to dominate in the modern work collaboration and communication space.